Narada Michael Walden is not only a California musician that has his own band and produces music for top recording artists, ut he also has made an impact on kids by sharing his artistic skills. 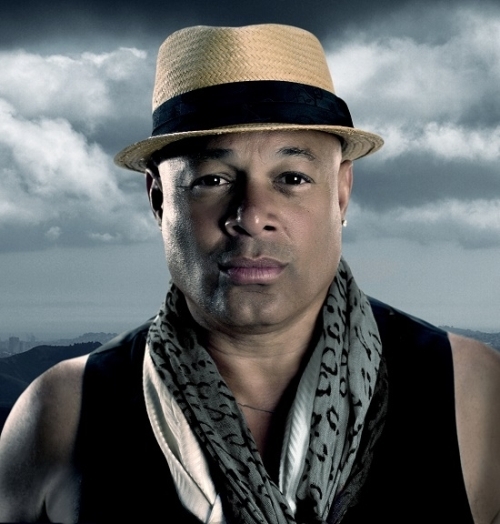 Narada Michael Walden is a musician with many awards, including an Emmy and a Grammy for Album of the Year. Music is his passion, but he realized that children need music also, so he has brought them in to his music studio, production workshops, and rehearsals to expose them to the creation of music. He not only offers them vocal training, but he gives them a chance to perform with professional musicians. He works with Performing Stars of Marin to help develop musical interest in local low-income kids. Mr. Walden didn’t stop there, however. He created the Narada Michael Walden Foundation to make a difference in the lives of young people by supporting music appreciation and education for youth. Read below for Narada Michael Walden’s insights on his career and charitable activities. Amazing Kids (AK): When did you first realize you had a passion for music? Narada Michael Walden (NMW): I was born with a passion for music. As soon as I could really feel anything in my heart, in my mind, and in my consciousness, I was drawn to music. I loved to watch the records spin on a little 45 RPM turntable, or the 33, or even a 78 at my Grandma Nellie’s house. And in my house I used to stare at album covers, usually of ladies in blue silhouettes, like Mambo colors, Mambo dancers, and they were always so beautiful with their blue silhouettes and/or their red dress swirling with their black shoes, a white top and their brown hair. They were so beautiful. I would just stare at those album jackets and listen to all kinds of music. I loved music by George Shearing with Peggy Lee. I also loved music by Hank Ballard and the Honky Tonk, and that album of Buddy Rich and Max Roach going at it that my Dad got for me. Also, I loved Froggy Went A-Courtin’ – I love that for kids. I also loved watching the Wizard of Oz. In my mom’s family, Uncle Travis played piano since he was 5 years old and we’d play in talent shows together – I played the drums and he’d play something like Moon River. That was really educational for me as a little kid, winning at talent shows. I found a guy named Joel Brooks when he was 11 and I was 10. We played in a band together called The Ambassadors and we opened up at his uncle’s club called The Ambassador Lounge. People would come through town, like Jack McDuff, and we could go and open up for them in a little club, and that was really educational. So I’ve always been drawn very heavily into music, and then to learn Jimmy Smith’s bass line for The Sermon on the piano was important. Joel Brooks taught me how to do that. That still serves me to this day. AK: How did you break into the music recording industry? NMW: For me it was John McLaughlin. The marvelous John McLaughlin gave me the break. He completely believed in me and gave me a great shot. And then there was my first album, with George Martin the famous producer, in London with the London Philharmonic, with Michael Tilson Thomas conducting and Mike Gibbs arranging, and the band – there was Jean-Luc Ponty on violin, Ralphe Armstrong on base, Gayle Moran on keyboards, the marvelous John McLaughlin on guitar and myself on drums, in London recording The Apocolypse album in 1974. I went from a busboy to being in that band. So…incredible! God’s grace. AK: Why do you think it is important to foster an interest in music in kids at a young age? NMW: Because when you’re young is when you’re impressionable and your mind can really swallow, embrace, and digest a lot of ideas. In music, as you know, the more you can understand about the different types of music, the stronger musician it makes you. AK: What have you learned by working with great musical talents in the industry, such as Whitney Houston and Aretha Franklin? NMW: I learned from Whitney to be a fireball. She’s like electricity extraordinaire and a fireball vocally. I learned how to go through the best bits of the parts she’d give me and put them all together to make hit records. We worked really fast together. I learned you can work fast and be efficient if you really focus with consciousness. And Aretha is another fireball – the Queen of Soul, a great teacher with a lot of wisdom and music knowledge. She can go to the piano and play anything she wants at the drop of a hat. She comes in with all the lyrics, melodies, everything memorized. She’s very serious at what she does. So, another great lesson on how to be professional. AK: How do you approach music with kids to keep them interested in it at the beginning? NMW: Keep it fun! Be willing to feel fun and love in music and they will keep interested. AK: What has been your mission and what have you accomplished with the Narada Michael Walden Foundation you have founded? NMW: My mission has been to bring music with children and to bring their confidence level high and that’s what we’ve done. We’ve taken little crops of kids here locally and we’ve embraced them and we love them. Their confidence level is higher; they are doing shows with us. A lot of singers and musicians, such as drummers, participate as well in doing shows with us. So we just want to keep that mission going. I found another really young kid I love so much. She is not really part of the Foundation. Her name is Nayah Damasen. She came and sang for our Foundation last year, at 11 years old. So I’m now producing her. So I find people I love to produce through the Foundation as well. AK: What do you recommend to youth who are interested in music but don’t have the financial resources for instruments or lessons? NMW: I only had my grandpa buy me a pair of drum sets for $100 when I was 10 years old. So things will always come to you if you have a desire to play music. God makes a way for you. AK: What character traits do you think make a successful musician? NMW: To be kind, to be diligent, and trustworthy where you can be good to your words so people can grow a trust with you. But then comes the music – to be able to integrate the music, to be able to kick it around like you own it. I think you will need to feel that sense like you can own something. You can kick it around and you can be inspiring people. So if you want to be simple, you can be simple. If you want to be complex, you can do that too because you really know the music by heart. See, there is a difference in people that learn the music by heart. They play differently than anyone else. AK: What would be your piece of advice to our young readers who would like to pursue music as a career in the future? NMW: Stay inspired! Know that the inspiration is here for us 24 hours a day/7 days a week. Like birds fly in the sky, you can reach out your hands and pick up a bird and pull it down and show our universe, our mind, our soul, our art, our vital – our body. And any time we can just do that. Just know and believe that inspiration is here for us. Have a good time and enjoy this life that you’re given because it is a blessing to be here. Work hard! Keep your hands clean. Smell good. Be the person you want to be around. It goes a long way. Even for the most talented people – you want to be the person most people want to be around. And that’s being kind. AK: Who has been a mentor in your life? What inspires you? NMW: I’ve had many – my mother and father, Peggy Walden and Harold Walden, my grandparents Val and Edie, my mom’s parents, my grandma Nellie, my grandpa Alex, a lot of people. My guru Sri Chinmoy and then, raised in the Catholic church, my Mother Mary and Jesus. Buddha – his message of balance I love. Stevie Wonder kicked me when he was 11 and Ray Charles when I was about 6 kicked me hard with the Ray Charles Live album which included the songs Frenesi, Drown in my Own Tears, and Tell the Truth. And then of course The Sermon by Jimmy Smith kicked me and E=mc2 with Art Blakey playing a back-beaten jazz. Horace Silver kicked me big with Louis Hayes on drums. Lots of things come along that really inspire me, like Little Richard’s voice in the song Tutti Frutti on a 78. My God! So, I’m really inspired by music, by life, and by love. I want to tell all of the kids to believe in themselves…to believe more in yourself and reach for the stars! Amazing Kids! Magazine wishes to thank Narada Michael Walden for taking the time to share his insights on being a musician and inspiring others. I’m sure his words have motivated all our readers to pursue their dreams, in music and in life.